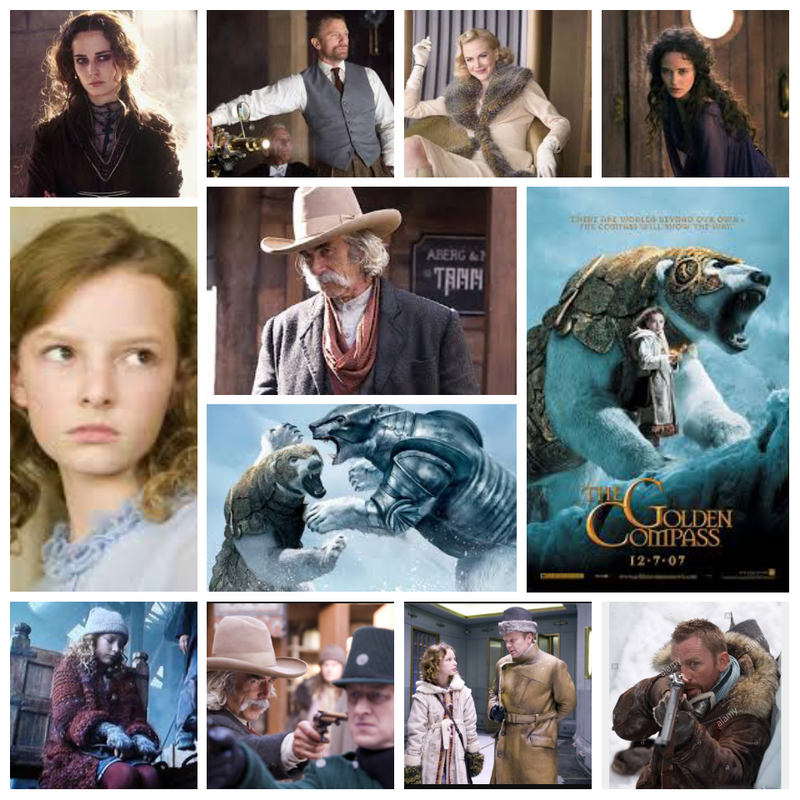 There’s a reason they never adapted another novel in Philip Pullman’s His Dark Materials series past the initial stab at The Golden Compass, and it’s the same infuriating reason why many adaptations of children’s and young adult novels fail: lack of appropriate atmosphere and true menace found in the source material. Everytime Hollywood comes along and decides to try their luck at a beloved series for youngsters or young adults, they feel this feverish need to shine it up with a candy colored, over lit vibe that leaves much of the darker elements by the wayside and as a result their final product feels neutered and bereft of any weight, stakes or attention to detail. Spiderwick. Skellig. Eragon. Hell, even Narnia only made it by the skin of its teeth, blasting out of the gate with a flawless entry, only to peter off into sequels afflicted by the very symptoms I outlined above, and not even make it to the end of the saga at that. Now don’t get me wrong, this doesn’t happen to every series they try to adapt, but to enough of them that it’s a problem, especially when a darkly creative, eerie and unique tale like this gets turned into a glossy, pandering misfire. It’s sad because some of the elements of a good film are in place, starting with casting. Dakota Blue Richards is on-the-nose perfect as Lyra, the adventurous heroine who gets swept away on a menacing voyage to arctic lands and beyond. She lives in a curious parallel universe where every human is forever accompanied by a ‘Daemon’, essentially a piece of their soul that takes animal form, and never the two shall separate. Lyra’s uncle Lord Asriel (Daniel Craig) is an explorer who has returned from the north lands with tales of a mysterious phenomenon called ‘dust’, a powerful substance purported to be able to unlock other worlds and dimensions. Lyra is curious at first and then nervous when she meets icy Mrs. Coulter (Nicole Kidman) a prim socialite with a devious agenda involving children that have gone missing in the city. She has a facility on the tundra where scary research and very bad experiments are conducted. Now in the books the descriptions and eventual confrontation with this would make your hair turn white. Pullman imparts it with weight and true blood freezing horror. The filmmakers *deliberatly* tone it down and castrate it, leaving anyone who was a fan of the series in total disgust. It just doesn’t have the same dark, otherworldly atmosphere it did on the pages, it feels too bright, chipper and lacking any real wonder. It does have some wicked visuals going for it in places, such as the two rival talking bears, voiced with baritone boom by Ian McKellen and Ian McShane, the landscape of the north as seen from the hot air balloon of grizzled sky-cowboy Lee Scoresby (Sam Elliott), and others. Eva Green also scores well as elemental witch Serafina Pekkala, but then she’s incapable of giving a bad performance anyhow. Scattered supporting cast includes Kathy Bates, Kristin Scott Thomas, Tom Courtney, Simon Mcburney, Derek Jacobi, as well, an impressive lineup all in all, but one that deserves a far better film for their talent. It’s just misguided and tone deaf. It may have been a series for adolescents, but the themes, implications and scenarios found in those books are harrowing, complex, very mature and not to be taken lightly, let alone given the full on Harry Potter theme park treatment. Shame, really, and a giant missed opportunity. Perhaps someday soon a network will get the rights and turn this tale into a film or tv show worthy of His Dark Materials.